Given the lack of clear resume-building opponents left on the docket for Washington, the team’s only path to ensure a spot in the CFP may be to impress the committee by trying to blow out its more mediocre opposition. This doesn’t bode well for the 4-4 Bears, who will be facing the Huskies in Memorial Stadium on Saturday. 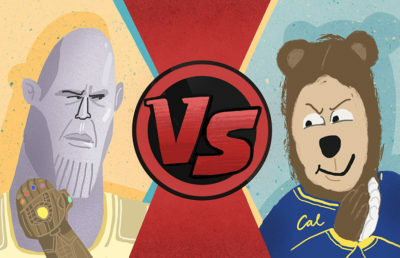 While Cal has been impressive at home, upsetting two ranked teams, the Bears haven’t played an opponent of Washington’s caliber in a long time. The Huskies will come into the game armed with not only the Pac-12’s best scoring offense but also its best scoring defense. Cal has the conference’s second-best offense but one of the worst scoring defenses in the whole nation, allowing 41.8 points per game. The Bears brandish the worst run defense in the country to go along with a pass defense that is improved from its lows of the past few years but is still no better than average. Things sure have changed since last season when the Bears went on the road to beat the Huskies, 30-24. But the Cal coaching staff doesn’t seem to know that. “Just like a year ago, there were a lot of shifts and motion, and the biggest things we’ve got to know is what we’re in and where we’re located, because they try to get you out of alignment presnap,” said Cal defensive coordinator Art Kaufman when asked about the Huskies’ motion-heavy offense. Preparing as if last season’s strategies will work is like walking into a candy house in the middle of the forest — what were you thinking, Hansel and Gretel? Not only is the Bears’ defense largely overhauled, but Washington’s offense is led by a potential Heisman-winning quarterback in Jake Browning. He’s thrown for 1,895 yards and 28 touchdowns for a 67.7 completion percentage, while only getting picked off three times. His emergence has keyed the Huskies’ dominance this season, but it is by no means their only avenue towards securing wins. Washington’s run game is prolific, led by Myles Gaskin and Lavon Coleman. Browning chips in as well, with four rushing touchdowns on the year. With this level of opposition, the Bears may need to drop 50 points just to avoid a blowout. After looking like a parked plane against a solid USC defense last week, however, going off is anything but a given for the Bear Raid, especially against a Huskies pack that has allowed only 15.8 points per game. 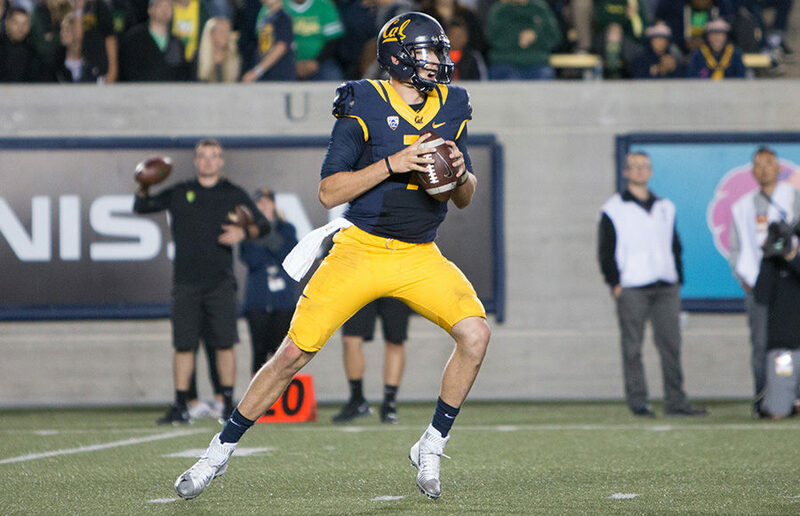 Cal quarterback Davis Webb threw for at least 300 yards and four touchdowns in each of the Bears’ two home upsets and must put up similar numbers against the 10th-best pass defense in the country. Star receiver Chad Hansen is likely to be short of 100 percent again — if he’s able to come back at all — so a heavy workload will fall onto freshmen Demetris Robertson and Melquise Stovall. They’ve combined for 74 receptions, nine touchdowns and 865 receiving yards already, to go along with Hansen’s 59 catches, eight touchdowns and 770 yards. If all three are on their game and Cal’s defense can at least pick up a few stops, the Bears will have a chance of keeping the game close. Even that may be a tall task when faced with a team that combined to beat Oregon and Stanford by 87 points like Washington has. That proclivity for blowing teams out along with a chip on the Huskies’ shoulder leaves the Bears as the dogs in Saturday’s matchup.